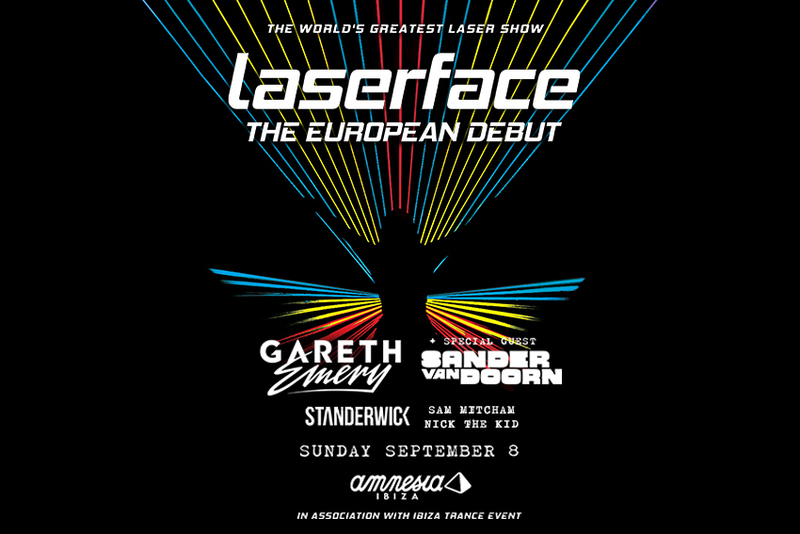 In association with Ibiza Trance Event, Gareth Emery is bringing Laserface to the most Legendary Club of Ibiza! This show will mark the return of trance to the Terrace with a huge lineup featuring special guests Sander van Doorn and Standerwick! Laserface is a mesmerizing live show perfectly choreographed to the lasers of globally renowned show designer Anthony Garcia and a dedicated 50 person crew bringing the show to some of the world’s finest festivals, arenas, theatres and now to Amnesia! A perfect blend between music and technology, the show features a huge number of lasers and production exclusive to Laserface! An unique and unforgettable experience.